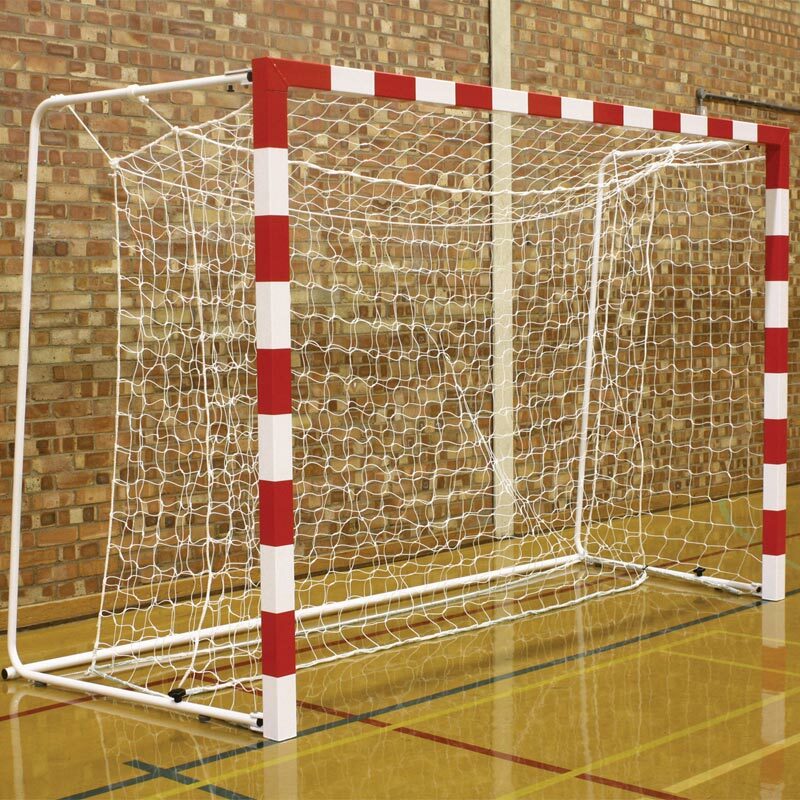 The Harrod Sport ® Competition Handball Posts are the ideal choice for top level matches with it's angled side frames and free hanging net. 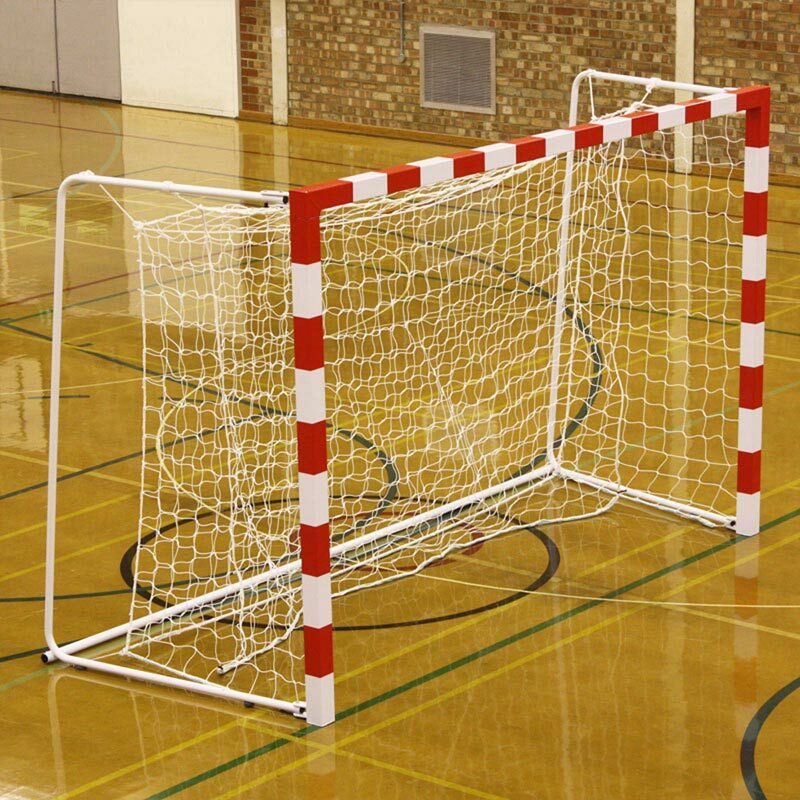 2 x Aluminium Handball Goal Posts. All Bolts and Fixing Posts. Polyester powder coated frame with red and white markings. Crossbars and uprights manufactured from reinforced 80mm sq. x 2.5mm aluminium. 31.8mm steel folding net supports to fold easily. Supplied with metric M12 Floor fixings for use with optional floor sockets. Complete with detachable steel backbar. 3m wide x 2.m high x 1.3m deep - 95kg per set. 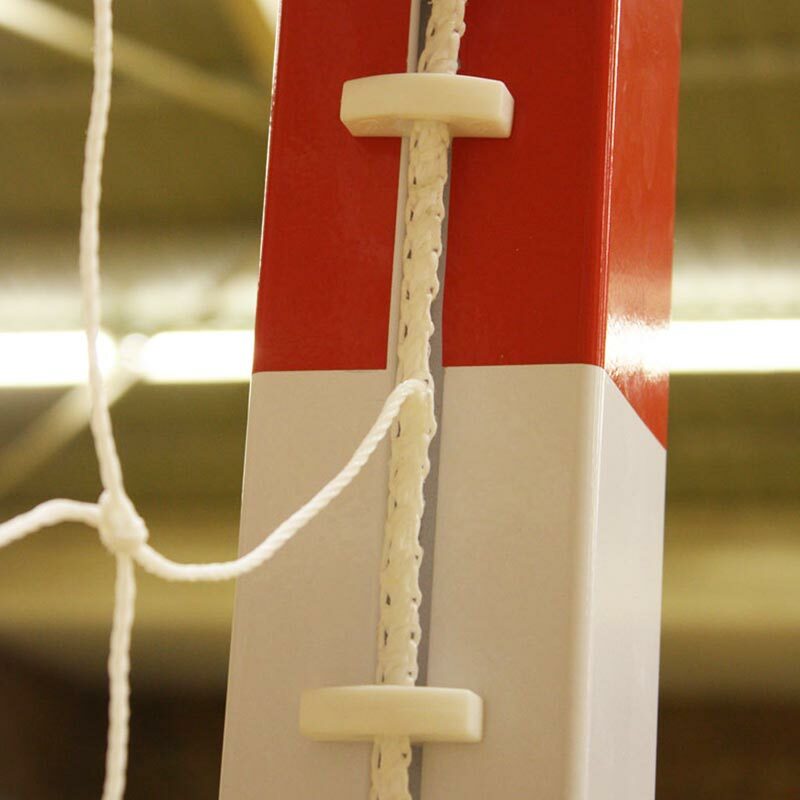 Lost the instructions for your Harrod Sport ® Competition Handball Posts? Please Click Here to download a new copy.